Professor George Haller, the recipient of the 2005 AMD Young Investigator Award for Special Achievement in Applied Mechanics, is fascinated by unsolved nonlinear problems in mechanics. 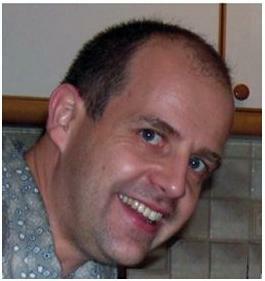 He strongly believes that many such problems can be solved by taking a fresh approach: applying nonlinear dynamical systems methods. At the same time, he acknowledges that, more often than not, nonlinear techniques need extension before they apply to real-world mechanics problems. Accordingly, Haller’s research has been a combination of physical modeling and mathematical analysis. He has also been committed to the numerical and experimental verification of his results. Haller has worked on a broad list of mechanical problems, including resonant energy transfer in molecules, micro-scale chaos in robot control, nonlinear stability of gyroscopic systems, and material transport and mixing in geophysical flows. In solving these problems, he made contributions to mathematical areas including chaos near resonance, infinite-dimensional singular perturbation theory, stability of time-depende nt invariant sets, and the theory of invariant and inertial manifolds. Of notable impact is Haller's work on Lagrangian Coherent Structures (LCS), which are hidden material structures governing the mixing of tracers in unsteady fluid flows. 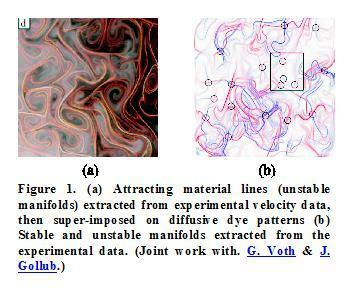 Haller's LCS techniques have been used in fluid experiments to visualize the intricate structure of chaotic fluid mixing (Fig. 1), and in designing a scheme to reduce coastal pollution in the ocean. Further unexpected applications include understanding \the motion and feeding of a jellyfish, and predicting apoptosis (cell death) in protein networks; both applications are discussed in a recent SIAM News cover article. 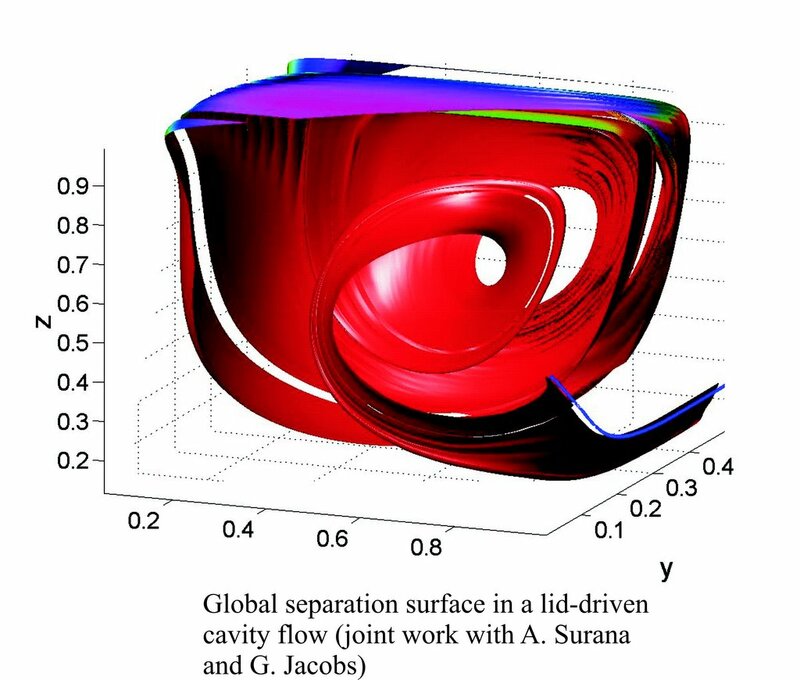 Haller is particularly enthusiastic about his current work on cracking the my stery unsteady flow separation, i.e., the detachment of fluid from a no-slip boundary under time-varying flow conditions. Such detachment is the primary reason for aerodynamic losses in a variety of engineering devices, including airfoils, turbines, pipes, and diffusers. In a groundbreaking 1904 paper, L. Prandtl derived a criterion for separation in steady two-dimensional flows. 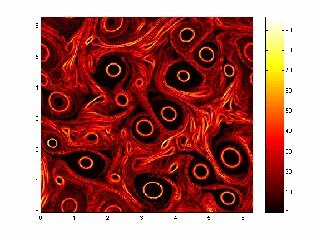 Recently, Haller’s group at MIT succeeded to extend Prandtl’s criterion to unsteady and 3D fluid flows (Fig. 2). This offers an exciting new tool in the analysis of numerical and experimental flow data, as well as in the monitoring and control of separation on air vehicles.